Life savings have been stolen from TSB accounts by fraudsters "exploiting" the bank's IT problems, with 1,300 people losing money.On occasions, people were waiting on the phone for up to nine hours to report cases, the bank's boss Paul Pester has told MPs.He said that 70 times the normal level of fraud attacks were seen last month.The introduction of a new IT system in April left customers struggling to make transactions and see their balances.The bank said it would compensate customers in full for any fraud they suffered. 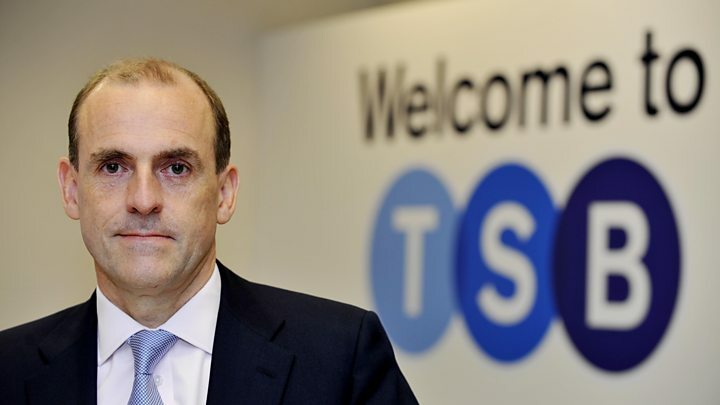 The evidence came after the financial regulator confirmed that it was investigating TSB and criticised Mr Pester for an "optimistic view" of services after the meltdown. 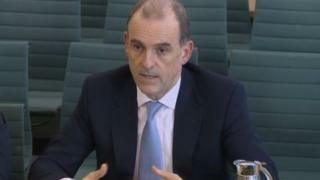 During evidence earlier to the Treasury Committee, Andrew Bailey, chief executive of the Financial Conduct Authority (FCA), said TSB bosses were "in a hole and they have got to get themselves out of that hole". He added that TSB senior managers had responsibility for the situation, even if the technology was overseen by a separate arm of its Spanish owner Sabadell. Some TSB customers are still facing problems with services after its five million customers were moved to a system run by Sabadell six weeks ago. Overall, there have been 93,700 complaints from customers.Many services have improved, but the situation remains unstable, with 40% of those trying to call the bank unable to speak to someone, while waiting times have run to more than 30 minutes. Fraud has become a problem, with confused customers being tricked into allowing access to their accounts.Mr Pester said that 70 times the normal level of attacks were seen from criminals attempting to "exploit" the problems TSB were experiencing.Yet the FCA said that TSB had failed to refund their money quickly enough having initially been "overwhelmed" by the weight of cases. Some 10,600 alerts about cases of potential fraud were identified. TSB said in 1,300 cases money had been taken from accounts. At times, only one in 10 calls about fraud were answered, but TSB said, as a result, it put in a new dedicated fraud line.The bank's poor communication may have hit customers' trust in banking, the FCA said. "A more straightforward recognition of what the situation was would have been helpful," Mr Bailey said. Among the unhappy customers is photographer Paul Clarke who could not use online accounts, then in the confusion was defrauded for more than Mike Cherry, chairman of the Federation of Small Businesses, said: "It's vital that small business owners affected by the TSB meltdown are compensated. The disruption has cost small firms time and money, and left them unable to pay panicked staff. "Perhaps most troubling, business accounts have been accessed by external parties who have preyed on those affected with phishing texts and emails. "The FCA has the power to impose an unlimited fine on TSB, or fine and ban individuals.The regulator's investigation is the first into an IT meltdown since RBS was fined ?56m by regulators after a 2012 software issue left millions of customers unable to access accounts. That investigation, carried out jointly with the Prudential Regulation Authority, took 18 months. When TSB split from the Lloyds Banking Group, it continued to use its computer system while a new one was developed. When it thought it was ready, TSB moved customers' data from the Lloyds platform to its own managed by Spanish owner Sabadell. This was a long-planned disruption to the service. The bank said it informed customers of the change, and that it would lead to them being unable to use online banking or payment systems that weekend.That led to two problems. First, many customers said they were unaware of the changes and so were caught out. Second, customers experienced difficulties long after the deadline that TSB had promised things would be fixed. One TSB customer told BBC Radio 4's You and Yours last month that he watched thousands of pounds in wedding savings being stolen from his internet account as he waited on hold for the bank's fraud department.Ben Alford, from Weymouth in Dorset, said it took more than four hours to get through to TSB, by which time most of the money had gone. TSB said it had put in "additional resources" to support customers.Lorna Connolly, formerly Lorna McHale, told the BBC how she was unable to access her account days before her wedding day.The 26-year-old said she had to "ring to grovel" with suppliers for the wedding. TSB rang the day before her wedding to offer her compensation of ?100.